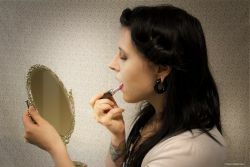 Discover Culture: Retro Hair Workshop, Saturday, November 7, 10 a.m. (presented in English), 1 p.m. (presented in French), Canadian Museum of Immigration at Pier 21, 1055 Marginal Road, Halifax, NS. www.pier21.ca Always loved the classic, glamorous look of 1940s hairstyles? Our Discover Culture: Retro Hair Workshop is your chance to learn how to recreate the signature style of the era—victory rolls! Space is limited. To register, email Lena Hardiman at Learn@pier21.ca and indicate which workshop (English or French) you are registering for. Admission is free.